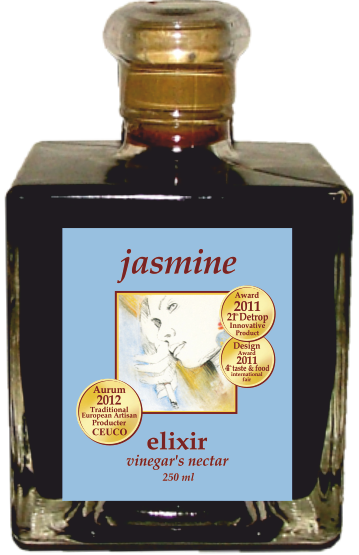 The elixirs that we produce are alcohol free! 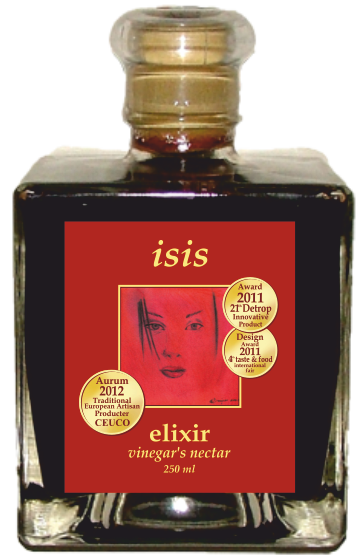 We’ve flavours mixed our vinegar with the nectar of small fruit and herbal extracts. The aromas of oxos, the fruit nectar and herbal extracts, all combine to create an excellent product with dual usage. On the one hand it can be used in cooking and on the other hand it is ideal as a drink. Enjoy it with crushed ice as an aperitif or as a shot after or during a meal. It creates perfection when added to salads, roast meat, fish and ice cream. We’ve mixed our vinegar with the nectar of small fruit, to which we’ve added extracts of various kinds of pepper and cardamom. We recommend that you drink it with crushed ice as an aperitif and as a shot at the end of a meal or between courses. Enjoy it with salads, roast meat, fish and ice cream. For lovers of exotic flavours! 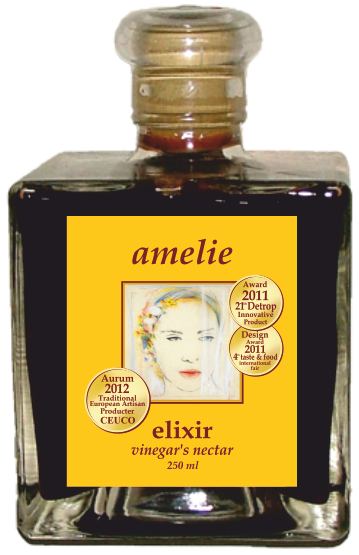 We’ve mixed our vinegar with the nectar or small fruit, to which we’ve added extracts of cinnamon and clove. The aromas of “oxos”, the nectar and the herbs combine to create an excellent product with dual usage. It is suitable for cooking and as a drink. Enjoy it as an aperitif with crushed ice, as a shot between or after a meal. It is ideal with salads, roast meat, fish and with ice cream. For those who love explosively chilling flavours. We’ve mixed our vinegar with the nectar of small fruit to which we’ve added extracts of spearmint and mint. It is drunk with crushed ice as an aperitif and as a shot between or after a meal. It will liven up your salads, roast meat, fish and ice cream! We’ve mixed our vinegar with the nectar of small fruit. Savour it with crushed ice as an aperitif or as a shot at the end of your meal or between courses. It will liven up your salads, roast meat, fish and ice cream.